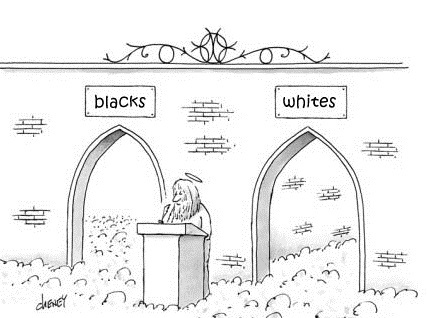 Is Heaven segregated? Is there one section reserved for blacks and perhaps a separate, but equal section for whites? I think most of us would be quick to say that this isn’t the case, supposing we believe in the afterlife. 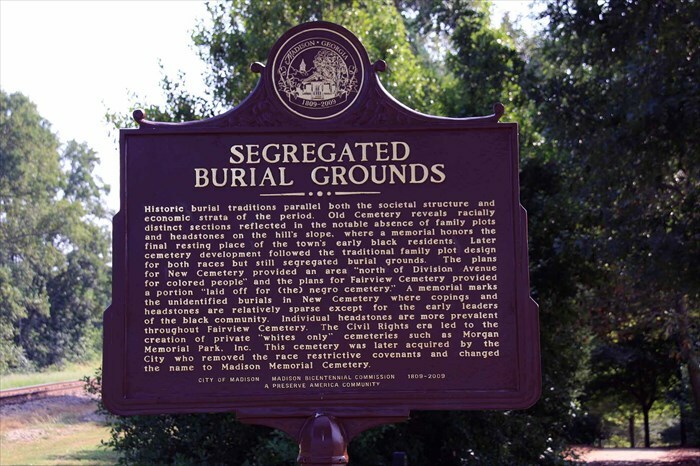 It seems then an odd fact that segregated cemeteries are a regular part of American society. In case you thought this was merely a hypothetical scenario, the New York Times reported that a judge in Waller County, Texas decided to uphold the local tradition of sorting their burial plots by race. Then-mayor Michael Wolfe sensed an opportunity to end the practice when it came time to lie to rest the body of an unidentified murder victim. She had no known family to express their wishes that she be surrounded by the corpses of other whites. Despite this, it was eventually decided that the racial homogeneity of the respective grave yards be preserved. This story should be something from a bygone era, but this just happened in 2008. 54 years after we admitted that separate isn’t equal…232 years after we declared that all men are created equal. Dead people don’t care where they are buried; they can’t. We do this for the sake of the living. It’s a mystery why some people care that much about race, but there is another type of cemetery segregation society readily accepts. It remains perfectly legal for religious institutions to deny services of any sort to specific groups of people. That said, it’s not the case that religiously segregated grave yards exist just to stick it to people of other faiths during a time of mourning for a lost friend or family member. In many cases, they exist to ensure that the burial customs of the faith in question are properly reserved. For example, there are many specific customs for funerals and burial grounds for Orthodox Jews. Among these rules are special handling of a body and the assurance that the ground has been inspected and blessed by a rabbi. Similarly, a Muslim cemetery is assured to adhere to specific rules about the shape and style of graves, behavior of visitors, and all rituals leading up to the burial itself. 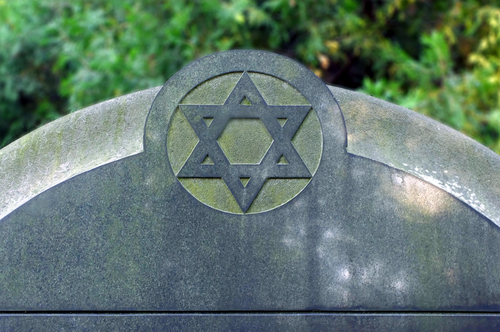 In both Jewish and Muslim cemeteries, only people who adhered to the faith in life may be buried there. Some other faiths however, are a bit more relaxed about this. The Roman Catholic Church permits the non-Catholic spouses, children, and parents of a practicing Catholic to be buried in consecrated cemeteries. It is also possible for a person who did not identify as Catholic but had a strong connection to the Catholic community to be interred in a Catholic cemetery. A common misconception is that burial practices affect the afterlife of the dead. In truth, most major world religions attach little to no dogma to the nature of a funeral or burial ground. In other words, a righteous person isn’t in for a nasty surprise in the afterlife if his family fails to abide by the burial customs of their faith. The closest exception is the belief in Hinduism that an improper funeral may delay the journey of the departed’s soul. There is of course one big Earthly drawback to putting the dead of a given faith together; it makes them an easy target for desecration. In February 2015 a Jewish cemetery in Oldenburg, Germany was tagged with swastikas on tombstones as well as the entrance to the grounds. This is certainly not the only time something like this has happened, not even within just this year. In France, vandals uprooted 300 gravestones in a Jewish cemetery in the Alsace region. Of course we shouldn’t let the actions of bad men define how we practice our customs. Sure, religiously segregated cemeteries are, by their very nature, discriminatory, but not for the sake of fear or exclusion like racially organized grave yards. If anything, religious sorting exists for the comfort of the bereaved that they may continue with end-of-life rituals in accordance with their faith. Not going to be buried anyways. The military have it right. In Arlington they put your religious symble on the plack but all are buried side by side. You will never use this flesh body again, it doesn’t matter where you are except for personal preference. All spiritual bodies are equal, there may be different ethnic kingdoms after judgment day, but no one knows yet. there will be kings of the ethnos, but that’s all up to God. I don’t believe there is a whites only gate in paradise. If you made it, you go to the right side of the gulf as stated in Luke 16, and if you don’t you go to the left side. After judgment day, its up to God what happens. Of course all souls in Heaven are the same color…happy and peaceful. When people learn to open their hearts and mind. They will come to understand the true meaning of unconditional love. Only then will people stop this madness. If man could only put aside the stereo type of all races , then the world would be a better place for all. our lord and saver shows unconditional love for all races. and if the creator was as self centered as man, am sure, we all would be condemned. the creator made this world a beautiful place for all man kind, we have some of the most beautiful countries in the world, and yet all over the world, man is hating, killing, and at war with one another. it is so sad , that we as of people continue to create a society that is so hostile, and divided. if we allow the people we vote into office, to divide the people, who select them to make society a better place for all people, then we are all going to perish, because of stupidity . we allow politician and the media to set the standards for society to follow, and it appears that our world is becoming a jungle , every one is in fear of everyone. what kind of society is that? our world need some leaders who are interested in making the world a better place, and not some crime ridden jungle. people can be deceived by thinking it is a race thing, but trust me, it is never a race thing , when man has no respect for another human being. we are becoming a third world nation, right before our very own eyes. Mankind ‘s evolution commenced in Africa, and as a result, started with dark skin as a protective device. With migration North, skin tones lightened up to aide in sun light absorption, a necessary event for the continuing evolution process. Are dark skinned Italians a separate race from fair skinned Swedes? Sorry to tell you there is only one race (human); all visual differences are adaptive characteristics.